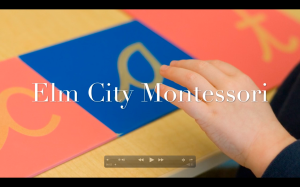 Elm City Montessori School opened in August 2014 with 70 children ages 3 through 5. It is New Haven’s first public Montessori school, and Connecticut’s only local charter school. Elm City Montessori School is a racially and economically diverse New Haven public elementary school serving PreK-3 through 8th grade, where students are guided to make decisions and work to their full potential through an educational program that follows Dr. Maria Montessori’s philosophy. A Montessori school stresses child centered learning, hands-on inquiry, multi-age classrooms, and intensive parental engagement. Thanks to everyone for your support so far! Please explore our web site to learn more about our school. Pictures are posted regularly to our Facebook page.